Cereals: Has it found its niche? Earlier this month the Eden Search & Select team visited Cereals 2018 and was pleased to discover that the event seems to be getting back on track after a rocky few years. Our Head of Agribusiness, David Buck shares his thoughts on the event. Earlier this month the Eden Search & Select team visited Cereals 2018 and was pleased to discover that the event seems to be getting back on track after a rocky few years. 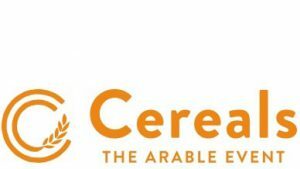 In 2017, the organising company behind Cereals faced criticism from the trade that the event was becoming less relevant and too expensive to exhibit at. Listening to feedback, decision makers opted to bring in a new events company and adopt a more collaborative approach to planning the 2018 show. Working closely together with key stakeholders they decided to increase the focus on farming technologies and create more in-depth technical content – a strategy that seems to have paid off. While Cereals 2018 was, undoubtedly, still smaller than a few years ago, we came away feeling like the event has now found its niche. Rather than seeming like a show that has shrunk, Cereals 2018 felt like it had right-sized – in line with the current scope and scale of the farming sector. The days of long lunches and free beer with reps are long gone and Cereals now reflects that. While some people will inevitably miss the ‘good old days’, what we now have is an event that mirrors the sector as it currently stands – rather than what it was like a decade ago. This year there were more than five hectares of working demonstrations to explore with a real emphasis on the innovations that are driving forward the future of farming – including drones and autonomous vehicles. Alongside this there was still a real focus on people. High profile speakers took to the stage to share their insights and there were plenty of opportunities for visitors to get involved in conversations and debates on a variety of topics. In a world that is increasingly data driven and focused on technologies, this was reassuring to see. With so few national farming events left to visit, it’s great to see Cereals getting back on form and carrying on the tradition of being a great place to catch up with contacts – in a new fresh way. If you decided not to go to Cereals this year because you’ve been disappointed with it in the past, perhaps it’s time to think again? This is an event that has the potential to deliver great value across the sector and we look forward to seeing how the new format continues to evolve.